Welcome to the Jewish Federation of Edmonton 2018/19 UJA Campaign! Our Community, Our Responsibility and Our Future! 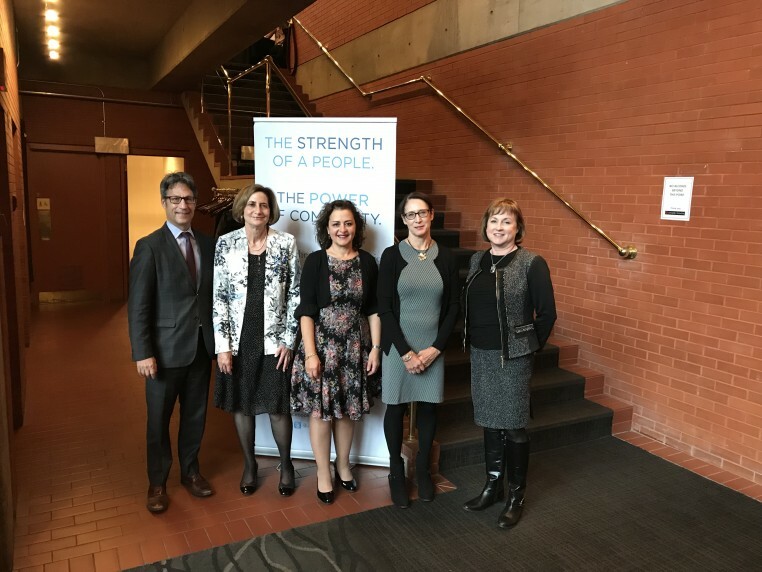 For over 50 years, the Jewish Federation of Edmonton/UJA has maintained and promoted vibrant and diverse Jewish life in Edmonton through programs, community organization, and fundraising. For the 2018/19 campaign year, we hope to continue building on past successes, further enhancing Jewish life in Edmonton and around the world. Guided by our Jewish values of Tikkun Olam and Tzedakah, we will work to raise $1.1 million. We invite you to join us in supporting this campaign so together, we can ensure a thriving Jewish Edmonton, not only now but for future generations. The Jewish Federation of Edmonton/UJA campaign provides help, assistance and support to members of our community, including our children, our sick, our elderly, and those in need. We stand with Israel, and are advocates for Jewish people and Jewish interests locally, in Canada, and around the world. We help through support of our local and international agencies here and abroad. We connect Jews and non-Jews to our culture, and preserve our traditions from generation to generation, through our youth, Israel, cultural and educational programming. We do our best to serve our community, and aspire to continue doing so. Please support our Jewish community by making a gift to the UJA 2018/19 Campaign. Thank you for putting our Jewish values into action. With your help, our 2018/19 UJA campaign will raise $1.1 million to support the causes you care about at home in Edmonton, in Israel and in dozens of countries, where Jews are in need. Bring aid, assistance and comfort to the elderly, the poor, the hungry, the homeless and those with special needs. Awaken Jewish identity through bursaries to Talmud Torah, Camp BB Riback, Birthright, and Maccabi, and support of programs such as Hillel, BBYO. P2G, and PJ Library. Preserve and promote our culture, heritage and memories with the Edmonton Jewish Film Festival, Heritage Days, Yom Ha'atzmaut celebrations, Holocaust Education Programs, Yom HaShoah and Kristallnacht ceremonies, and more. Advocate for Israel and Canadian Jewry by building alliances with government, media, campus and interfaith and ethnic communities, in order to counter anti-Semitism and stand proudly for the land and people of Israel, and for the Jewish people of Canada. Federation touches more Jewish lives on the planet than any other organization. Your generosity helps us to aid Jews worldwide; provide Jewish education for local children and teens; connect Jewish young adults to their heritage , and each other.